What a pleasure it is to hear a jazz quartet play with such joy and precision. 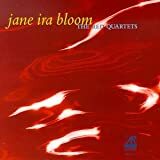 Jane Ira Bloom has recorded a CD entitled The Red Quartets that is guaranteed to sharpen your listening. There is a snap and verve to this group, an ease of exchange in their multi-layered interaction that is incessantly creative. Mark Dresser's bowed bass solos have a full, lyrical sound that is rare among jazz bassists. He alternates between plucked and bowed solos, proving to be a master of both. Anyone familiar with Marty Ehrlich's great quartets with Stan Strickland will be familiar with the drummer Bobby Previte. He is an exciting wizard of the unexpected, a creative drummer who can be depended on to bring out the best in everyone. His peers among drummers are few. The pianist Fred Hersch has never sounded better - he displays a risk taking assurance in his solos and an easy rapport with Bloom. 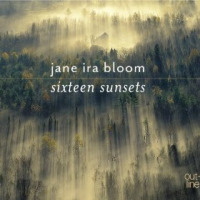 His accompaniments are subtle and substantive while his direct exchanges with Bloom are among the highlights of this recording. This is a band that listens intently, a band that is as interesting for its support work as it is for its solos. 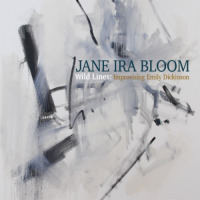 Part of the pleasure of this recording is hearing Bloom interact with the complex textures created by this band. Her poignant solo on "Tell Me Your Diamonds" rises above an especially beautiful performance by the entire quartet. 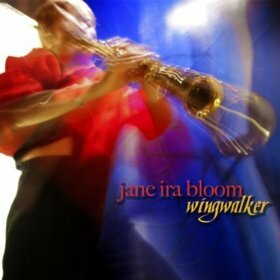 If you have not yet heard Bloom play soprano sax, you've been missing one of the premier saxophonists of our time. 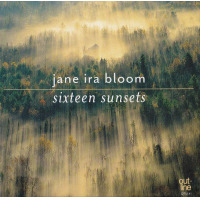 She can do it all with a crystalline technique shifting from ballads to latin swing to be-bop to avant-garde, and to top it off she composed nine of the eleven tunes on this CD. If we get lucky, Arabesque Jazz will record this quartet again. If we get very lucky, this will be the first of a series of recordings by this extraordinary quartet. Track ListingAlways Hope; Time After Time; Monk?s Rec Room; Tell Me Your Diamonds; Jax Calypso; Chagall/How Deep Is The Ocean; Five Full Fathoms; It's a Corrugated World; Climb Inside Her Eyes; Emergency; Einstein's Red/Blue Universe. 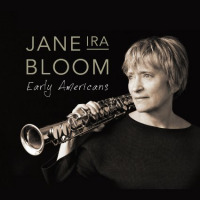 PersonnelJane Ira Bloom, soprano saxophone; Fred Hersch, piano; Mark Dresser, bass; and Bobby Previte, drums.